How Many Ticking Time Bombs Are Walking The Streets Of America? How Many 'Ticking Time Bombs' Are Walking The Streets Of America, Weaponized By Mainstream Media Lies, And Covered Up By Political Agendas? The very day after Nikolas Cruz shot up Marjory Stoneman Douglas High School in Parkland Florida, Susan Duclos published this story on ANP in which she reported upon the series of catastrophic failures by the FBI that led up to the shooting while asking, "Is The FBI's incompetence DELIBERATE as part of their gun control agenda?" Also pointing out that they were spending WAY TOO MANY resources and energy pursuing the 'fake Russia collusion narrative' and far too little of them stopping mass killers who were well known to them due to threats they had made, days after that shooting we asked on ANP if school shooter Cruz had been 'molded' into a mind-controlled shooter, a 'perfect patsy' who'd suffered mental illness and was on psychotropic drugs. As Susan pointed out within her story, many had considered Cruz a walking time bomb and he was well known within the law enforcement community but nothing was done about him despite the many threats he had made. Susan then pointed out the similar circumstances in the Boston Marathon bombing, the Pulse Nightclub shooting, the San Bernardino Massacre and Fort Hood, where in each case the perpetrator of those horrific crimes was well know to the FBI long before the events occurred. And while we heavily commend the swift and overwhelming Anne Arundel County and State of Maryland police response to the horrific shooting in Annapolis, Maryland yesterday that likely saved many lives, once again we learn that this horrific crime was carried out by someone who had been warned about long ago, and someone who consistently used the internet to levy threats against those who he'd perceived to do him wrong. And with the 'political left' in America now using the internet to levy threats against President Donald Trump and his supporters, and many of those threats well known to the FBI and Secret Service, while Hollywood 'stars' such as Michael Moore claim "we have to put our bodies on the line to stop Trump", one could argue that the perpetrator of the next 'event' will probably be somebody already known to the FBI. How many 'ticking time bombs' might be out there, walking free in America right now, despite them levying threats against other people upon the internet? The fact that Jarrod Ramos had stalked and terrorized his victim years ago, and carried his vendetta against the newspaper that reported that story for many years, proves to us that there were signs. And we see the 'political agenda' in this new story from Breitbart in which they report that many on the left and within the mainstream media immediately called for President Trump's head after the shooting, claiming blood was surely on his hands for calling the msm 'the enemy of the people' and riling up deplorables. And of course the calls for 'gun control' ring out. Yet they say nothing when 'Mad Maxine' Waters incited more hatred of President Trump and his supporters while urging her zombified followers to stalk and harass President Trump's aides. Well Maxine, yesterday's events in Annapolis, Maryland give us a perfect example of what happens when unhinged people stalk and harass. Let's stop it already! 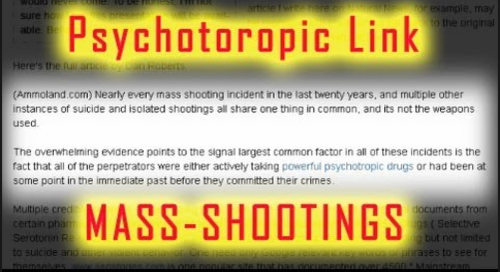 And while at this moment we are unsure if Gazette shooter Jarrod Ramos was on psychotropic drugs like so many other mass shooters across America over the past decade, he had admitted in tweets that he was seeing a psychotherapist and as the woman whom he had stalked told reporters, "he'll be the next mass shooter". 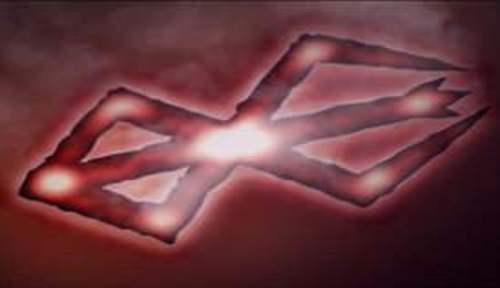 Those marked with the Brand are doomed to be ritualistically murdered, and their life force will be used to give power to the one who branded them. In Berserk, character Void says: 'The lives of those who bear the Brand, from the last drop of blood, to the last moment of your agonizing death, will feed life to the new Child of Darkness." Ramos is thought to have been a fan of anime and Berserk in particular. Back on February 17th we asked in a story on ANP if school shooter Nikolas Cruz had been 'MK-Ultra-Cated', a mind-controlled shooter who'd had a process called Orion upon him via psychotropic drugs and hypnosis. 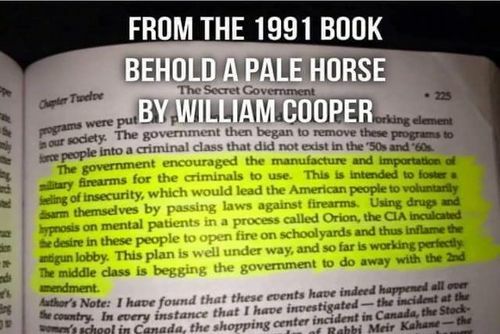 As we reported then, according to a 1991 book written by former US Navy Intelligence officer William Cooper, such tactics would be used upon numerous 'crazies' across America with the CIA program creating the desire in these people to open fire upon school yards and further enflame the anti-gun lobby. Warning in his book that the plan was well under way and so far working perfectly with much of the middle class in America begging the government to do away with the 2nd Amendment, might Ramos have been another such 'mark', a man with a mental illness who suddenly broke after years of anger towards the newspaper he felt had wronged him? We find it very interesting that Ramos had worked for the federal government for many years while his father was a former NSA employee. And very interestingly, Ramos's twitter account had been silent for several years as well, UNTIL yesterday, when suddenly Ramos tweeted: "F*ck you, leave me alone @judgemoylanfrnd". The twitter account @judgemoylandfrnd had no tweets at all. Is that a sign that Ramos was somehow 'activated'? And while the Russia witch hunt continues despite no real evidence of collusion being found and the entire thing a huge sham, we asked on May 18th following another school shooting in Texas if all of these shootings were just a huge distraction from the biggest political scandal in US history, a scandal that is already taking down part of the 'dark cabal faction' of the deep state and could lead directly to Barack Obama and Hillary Clinton. As we've long warned on ANP, we don't expect those who've sold out America and committed treason against our nation to go down without a fight and with the crazies on the left now unleashed upon America, weaponized into insanity by mainstream media lies, it could very well be a very long and hot summer. 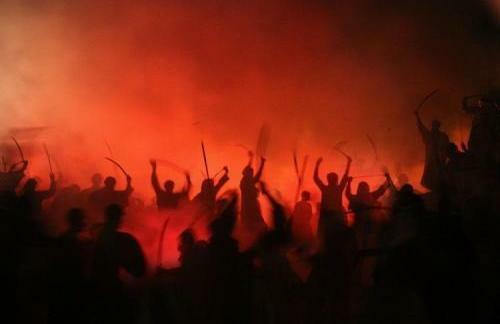 With nearly 1/3 of Americans now believing that a 'civil war' in this country is inevitable while the left continues to call for violence against President Trump and his supporters, we pray that everybody is prepared for the madness that may be ahead of us while issuing a call for peace and sanity, something that with Maxine Waters and Nancy Pelosi leading the Democratic party into oblivion, we'll probably never see. And as Susan Duclos reported on Thursday, "someone is going to snap". Well, someone snapped. And while it would have been much worse except for quick work of the AAPD and the MPD, threats continue to be made against law-abiding American citizens with the next ticking time bomb surely out there somewhere, leaving little hints of danger ahead.